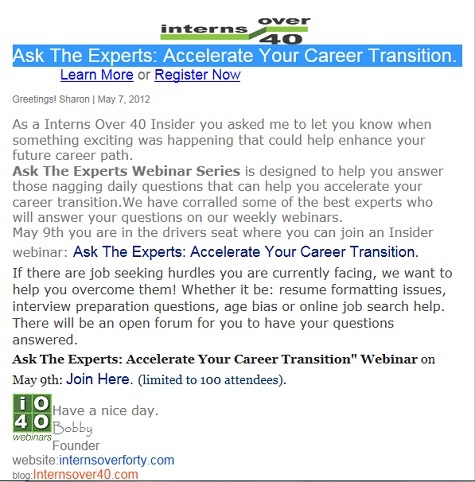 Interns Over 40 Free Job Search Webinar Wed – HURRY! Register HERE. This page will also allow you to submit up to three questions prior to the Webinar. Happy job hunting!